Customers can buy Closed Die Forging of multiple dimensions from us. 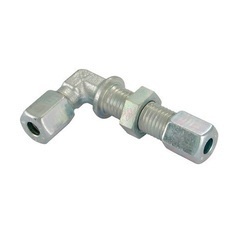 These products are also known as forged hydraulic pipe fittings. These products are extensively used in automobiles and engineering companies. We are engaged in offering Forged Hydraulic Fittings from mild steel, SS, copper and aluminium. Our hydraulic fittings are in tolerance of 0.4 mm (i.e. 0.2 mm) and is known for its best aesthetic features i.e. with clean scale free clean surface. 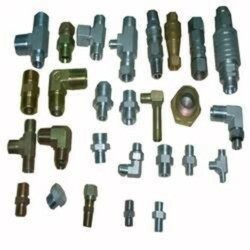 With the continuous support and sincere efforts put by our experienced professionals, we have been able to provide our clients a qualitative range of Industrial Hydraulic Fittings. The provided fittings are well-manufactured by our highly experienced professionals using the finest grade raw material and advanced technology. We feel proud to introduce ourselves as a reliable organization, engrossed in manufacturing a broad assortment of Industrial Hydraulic Fitting that is commonly used in industrial fittings.